StudiPlus²® - Just study and we will take care of the rest! Autoload Service Pages: Here you can see your transactions or deactivate your card if you lose it. 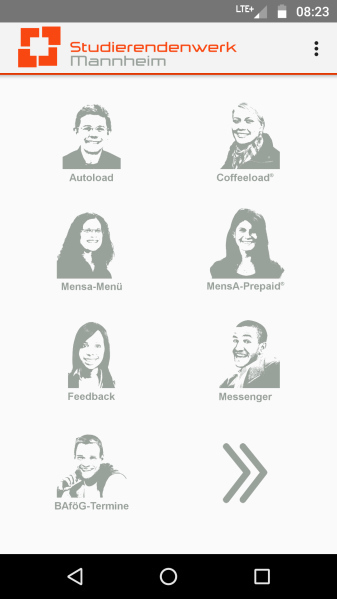 Mensa Menus: Directly from the kitchen to out App- it doesn’t get more up to date than that. 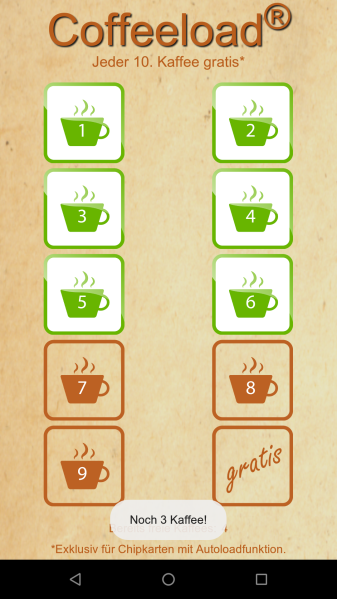 Extra-Features: With the StudiPlus²® App you can also filter (allergens, vegan, vegetarian, without pork, etc.) the menus that are offered and rate the food at our Cafés and Cafeterias. Messenger: Push-Notifications - all news direct to your device. BAföG-Fristenmelder: Don’t miss any dates to get your application in on time. Feedback: Take our online survey for the cafeteria, housing, and/or psychological counseling center (PBS). Studierendenwerk-Map: Autoload, Cafeterias, Student Accommodations in one! VRNnextbike: Rent a bike around the clock. Bücher Bender: Order your books online.